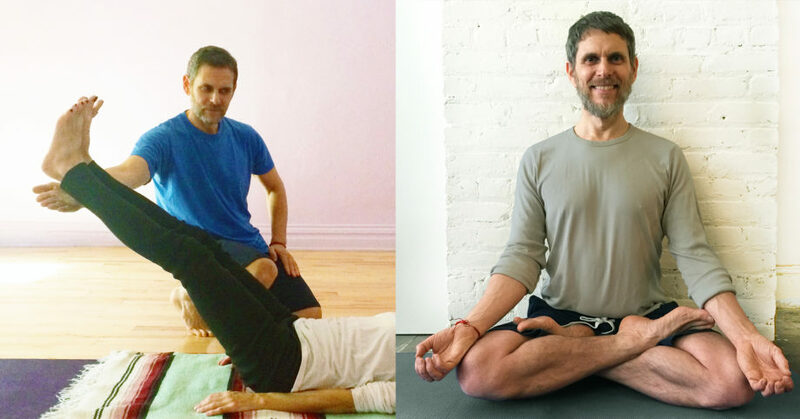 I’m a Jivamukti Yoga teacher and an advanced Hatha Yoga teacher (RYT 500) based in NYC. I first started practicing yoga in the late 1990’s. Since then I’ve been trained in Maharashtra, India (for Jivamukti), and in Rishikesh, India to teach classical Hatha Yoga and to instruct meditation. My initial classical training abroad was followed by Intermediate and Advanced Hatha Yoga teacher trainings at Integral Yoga Institute of New York (established in 1967 by Sri Swami Satchidananda). I’m also a certified Raja Yoga teacher. Raja Yoga is the branch of Yoga which deals with the teachings in the Yoga Sutras. I practice and teach with the goal of creating an experience of unity between breath and movement, body and mind. Hatha Yoga unites pairs of opposites; its practice is balanced and peaceful. It is a union between exertion, or the dynamic, and letting go, or the static. I teach regularly scheduled group classes and stand-alone workshops at various locations, as well as private sessions. For three years I have led the open meditations on the Highline. My classes combine vinyasa style sequences—in which movement is aligned with breath—with postures that are held a bit longer for a deeper experience. This means that your body will be deeply stretched as your mind starts to relax. With warmth and attention for each student, I enjoy presenting practices and variations that are new and challenging. You’ll learn traditional yoga techniques rooted in ancient yoga philosophy, but taught in a current and applicable way. Private classes are completely tailored to your capabilities and interests, with the understanding that these can shift from session to session. Whether you want to get into deep stretches at a meditative pace, or whether you want a vigorous practice, or focus on your arm balances and binds, I will give you detailed instructions to help you safely further your practice in Hatha Yoga, pranayama and/or meditation.